The water tower was removed in 2010. The white building on the left has always been Poulan’s grocery store. Hugh Harris West writes: Mr. Harvey Carter and wife Ella Ruth, ran this store. Russell and Gertie Houston ran the store and market during the 60’s. Mr. Leon Gray and wife Gladys came next I believe. Mr. Alton Gray (Leon’s brother) had already closed his store by this time. 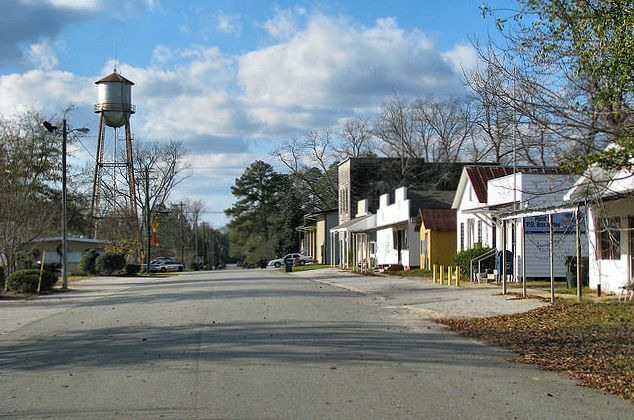 The early 20th century was a time of vast civic improvements in the United States, and small towns were as involved in these efforts as were larger cities. 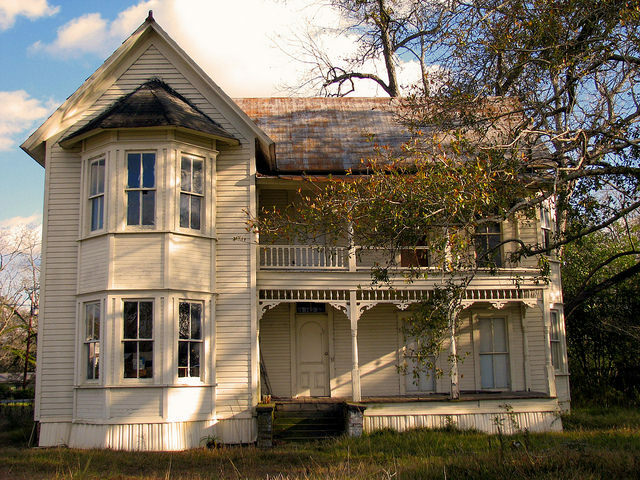 The Poulan Library and its initial collection of books was a gift from philanthropist and Michigan governor (1911-13) Chase Osborne, who often stayed at his nearby plantation, Possum Poke. 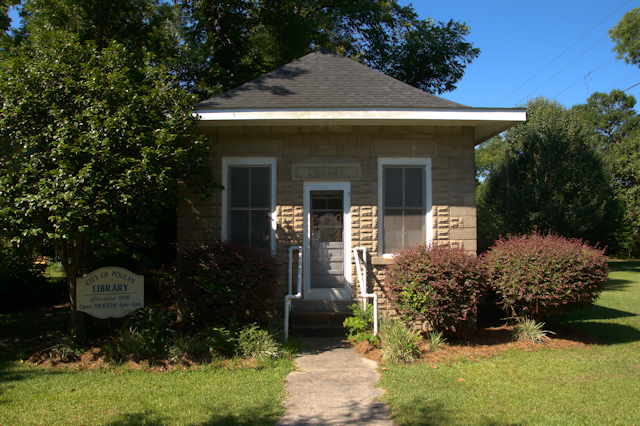 Significantly, the Poulan Library was the only public library in Worth County until the Worth County Public Library opened in 1931. 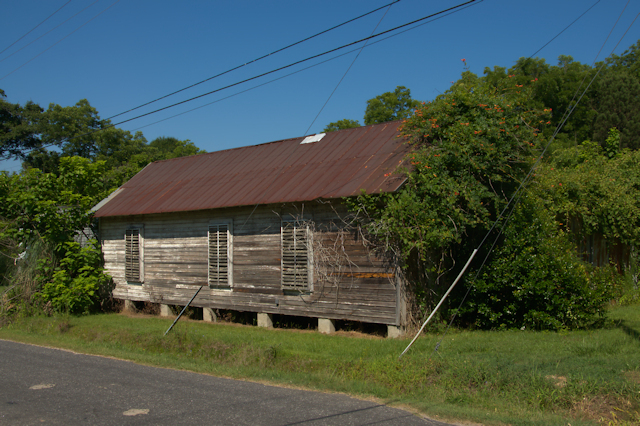 The library was also the meeting place of the Poulan Women’s Club from its founding in 1916 until the 1930s. 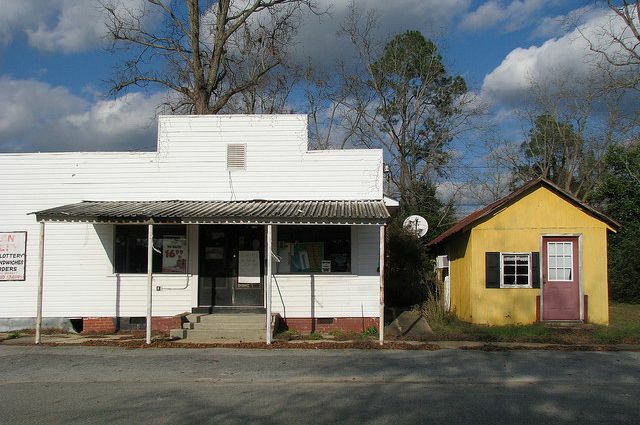 Still open today, it’s said to be the smallest public library in Georgia. 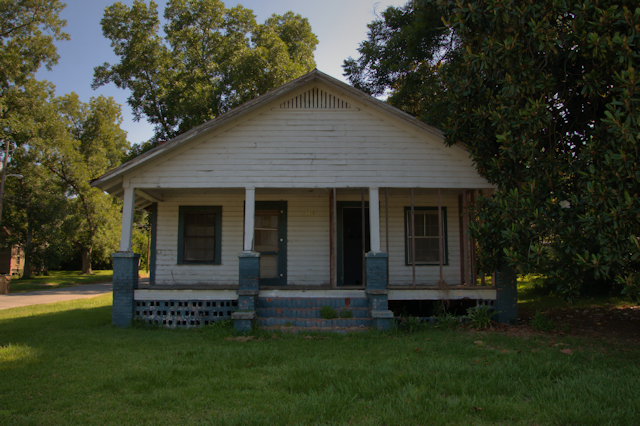 Hugh Harris West writes: Mr. Henry Hardage and family were the earliest and primary occupants of this house until the early 50’s. Mr. Henry Hardage was the ice man and delivered chunks of ice two or three times a week to those families who had ice boxes rather than refrigerators as my family did. 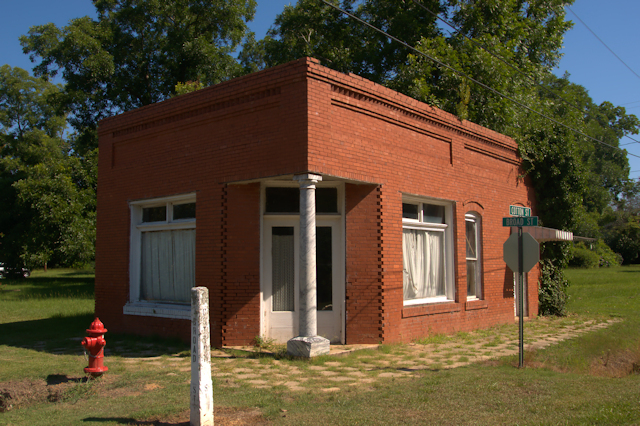 Hugh Harris West shared a bit of the history of this old bank: After the bank closed, it was used as the Post Office for a long time. Later, It was used as “Ms. Pricilla Garner’s Studio of Piano and Voice.” I took voice lessons there for a few years in high school…I never learned to sing very good. I did a few local weddings since there was not too many folks available…(Later) Fred Carter (made) a laundromat out of it. I ride by it weekly. It would make a wonderful little museum.